Given the time you spend with your hands on a keyboard, investing in the newest addition to Microsoft’s best-selling line of ergonomic keyboards can pay dividends in greater comfort. 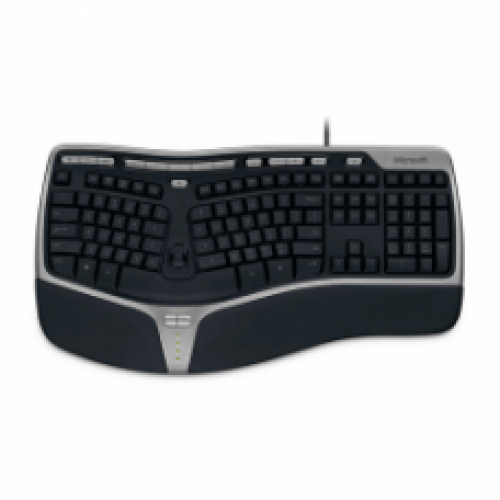 According to some studies, ergonomic keyboard designs, such as the Microsoft Natural line, have been associated with significant reduction of carpal tunnel syndrome symptoms. 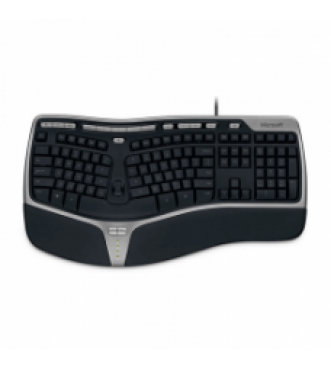 Rest your wrists against the plush palm rest in a relaxed, natural angle with this keyboard’s curved key bed, ergonomic arc, and reversed slope. Apart from comfort and support, enjoy quick, customizable way to reach files, folders, and web pages with handy hot keys. For close-in tasks, use the Zoom Slider, located in the middle of the keyboard, to zoom in and out with the touch of a finger.